We at Dell are committed towards creating a positive impact by developing technology to transform lives. Our corporate responsibility lies in sharing of skills and resources with the communities where we live, work, and do business in. 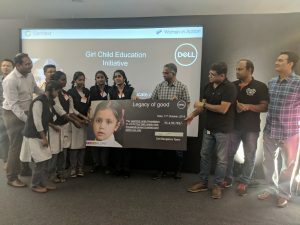 India region has been a significant contributor towards Dell’s journey of being a good corporate citizen. Here, we embarked on our journey of doing good in 2008 through our first corporate social responsibility (CSR) intervention that helped bolster the quality of education provided to underprivileged children and youths. 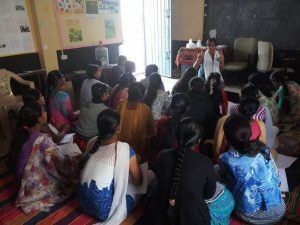 Dell believes that access to education and technology is not a luxury, but a necessity and that education can play a vital role in breaking the cycle of poverty and inequality in underserved communities. 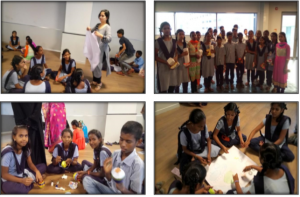 Driven by this premise the Dell Youth Learning program was rolled out globally to apply our expertise and technology in underserved communities to help 30 Lakh youth directly by the 2020, and support 1 crore people indirectly to grow and thrive. Partnering with over 70 innovative non-profit organizations across 17 countries, Dell places state-of-the-art technology into the hands of underserved youth and helps them uncover new skills and interests to unleash their potential. Dell Youth Learning initiatives were introduced to provide best in class education using digital technology to the underserved children. As of date, the interventions have impacted over 600K children. A total of USD 20mn, both in cash and in kind, were granted to our 15 NPOs towards the intervention. Our signature program is Sikshana Foundation’s “Prerana” which will be in all 43,897 primary schools across Karnataka, impacting 2,296,139 students. 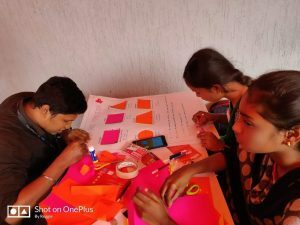 Also one of our marquee initiatives was to construct Atal Tinkering Labs (ATLs) to empower children with quality digital literacy and ICT skills. Dell sponsored ATL prototypes have been recognized and well received at various state and national level competitions. As a way forward, we aim to partner with the Government of India’s planning commission- the NITI Aayog in a collaborative effort to solidify on ground impact. Giving back to the society has always been an integral part of our value system. Through the Community Engagement programs, we support select social causes in communities that need assistance. 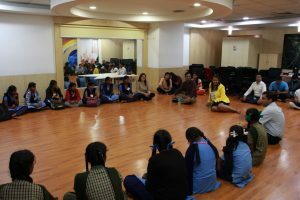 These causes are sometimes identified by our employees for which they provide volunteering assistance in addition to the financial grant provided by Dell. Aimed at digital transformation of the country’s public healthcare system, we in partnership with Tata Trust and the Government of India have built and deployed a modern digital healthcare platform- the Digital Life Care. Digital Life Care is a cloud based analytical healthcare platform with mobile and web access. The Ministry of Health and Family Welfare is using the platform to power one of its flagship national schemes- the Ayushman Bharat. Dell has played a pivotal role in disaster relief management by working with disaster relief organizations to provide post disaster recovery assistance. We provide technology donations, funding support, on-the-ground volunteer efforts amongst others. In lieu of the recent Kerala floods, we have donated $200K towards the relief works. 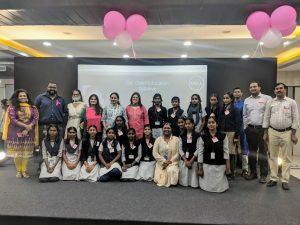 In alignment with Dell’s Global vision “Workforce 2030”, Dell India is committed to equip youths with an understanding of industrial processes and technologies, particularly in electronic and computer systems manufacturing. In partnership with the government and select NPOs, we plan to support vocational training programs for low-income youths – particularly in the rural areas – to increase their workforce readiness in the manufacturing sector. We are also collaborating with the National Skill Development Centre (NSDC) to develop and deploy industrial training curriculum in its approved training centres, which will help rural youths enhance their employment capabilities, while creating an industry-ready talent pipeline in the manufacturing and service sectors. In the coming years, we intend to continue our focused efforts to strengthen and expand our positive societal impact through our social innovation. Giving back to our communities is very important for our employees as well. 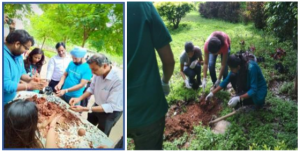 This year more than 50% of our employees have volunteers for various CSR activities and we are hoping that by end of the year this would reach to 75% of our employees.